Happily married husband and wife attend to the emotional problems of their various friends, colleagues, and family over the course of a year. 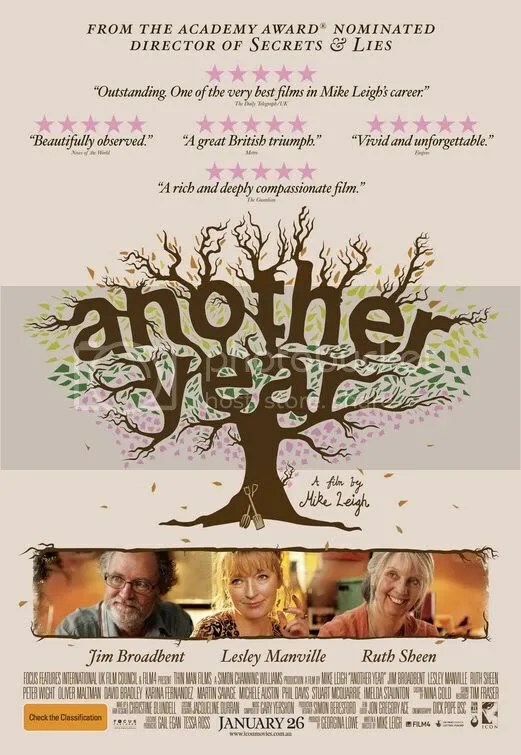 Director Mike Leigh’s movies are a mixed bag. They’re big on characterization and small on plot. On the one hand you get a beautifully composed, character driven drama filled with nuanced personalities. What you wont get is a focused narrative, other than to present a group of interesting people. Of all the individuals, the most engaging is Mary played by actress Lesley Manville. A superficially bubbly, but lonely woman in her early 50s. She talks with nervous speech patterns and jerky physical movements that belie a desperate need to be loved and a not so carefully hidden sadness. She’s extraordinary and her performance is one of the best things about the film. Unfortunately, the action really doesn’t go anywhere and leaves the viewer hanging at the end on a cheerless note. Of course the argument is, such is life, but that feels like a cheat since this is not the real world, but a movie. It feels lazy as if Mike Leigh didn’t know where to take the story. After watching such a well acted movie with heartfelt characters, we expect a dramatic structure. Throughout most of the picture, however, the experience can be quite rewarding. Dependable action thriller about a talented hit man who agrees to teach an apprentice his profession. Jason Statham is Arthur Bishop, a killer so efficient that his deaths look accidental. Into his life walks Steve McKenna, a troubled young man who wants revenge for his father’s death. They become mentor and student and it’s this dynamic between the calm Arthur and the unpredictable Steve that makes the story so much fun. They perfectly complement each other to make an interesting team. What keeps the picture from being great is the questionable script. The plot irrationally demands the audience continue to root for a character that will even kill his closest confidants in the name of business. That’s asking a lot. With that said, Jason Statham is possibly the greatest action hero working today. He’s got an intensity that draws you in and you never doubt his ability to get the job done. His rough hewn good looks and macho swagger is that perfect combination of charisma that appeals to both men and women. And he speaks with a British accent. 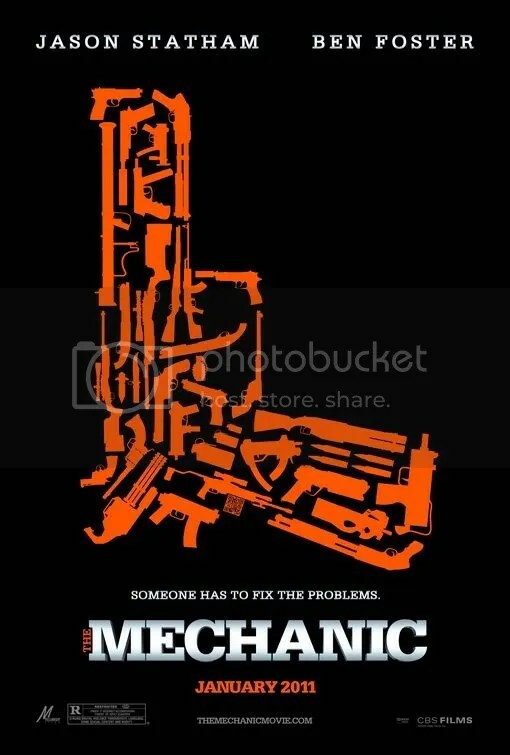 All of that goes a long way in making The Mechanic eminently watchable. Here’s hoping that this becomes Statham’s latest franchise. 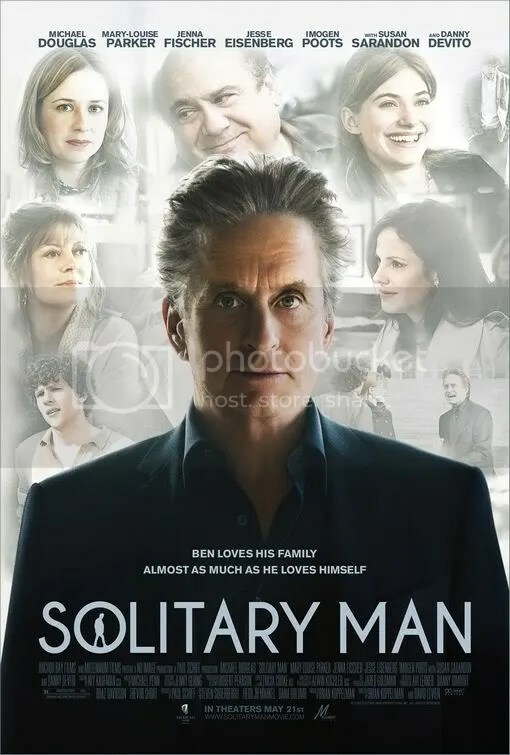 Talky drama about an aging New York businessman who finds his life falling apart, unable to control his salacious desire for young women. Well written script underscores this redemptive character study. Star Michael Douglas, perfectly chosen for the lead, gives one of his most memorable performances in years. Not many actors could bring such a magnetic presence to this role. Let’s face it, his character is downright unpleasant. You wouldn’t have any patience for a person like this in real life. Thus it’s a tribute to his talent that he can make this figure so engaging. However at best, it’s a magnificent achievement in a mediocre picture. The story plays out a little like a Lifetime movie from the male perspective. Call it Ben Kalmen: Portrait of an Aging Lothario. He’s backed up by a distinguished cast. Susan Sarandon, Danny DeVito, Mary-Louise Parker and Jesse Eisenberg have supporting parts. But it’s Michael Douglas that elevates this chronicle beyond its humble objectives. He alone is the reason to see the film. Powerful account of two soldiers who are assigned to the Casualty Notification Office delivering the news to families of people in Iraq who have made the ultimate sacrifice. 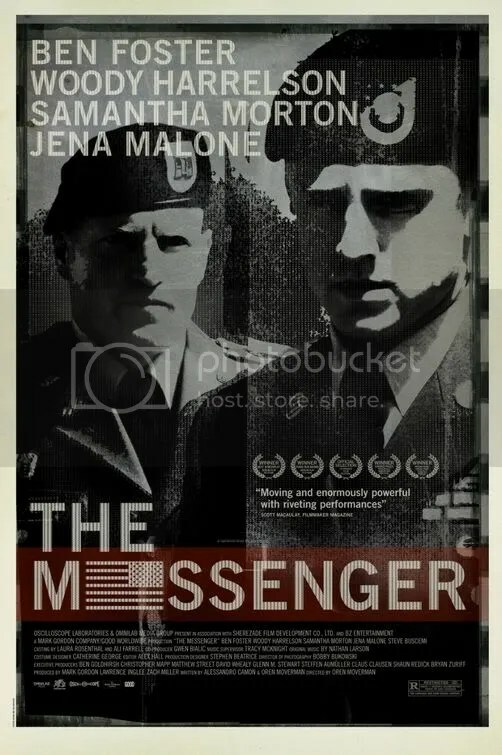 Captain Tony Stone is the old hand doing this and it’s up to him to train Staff Sergeant Will Montgomery to communicate the message properly, without getting emotional. Both Woody Harrelson and Ben Foster are extraordinary as military men selected to perform a task no one would want. They develop a close bond as both have no choice but to deal with a bad situation. The individuals that must drop a bombshell such as this, prove that war on the home front can also be hell. This theme may not be a deeply original, but the story here feels fresh and is told from a new perspective. There’s even an interesting ethical dilemma concerning actress Samantha Morton as a woman whose husband is killed in battle. Indeed it’s painful viewing to see so many get such horrible news, but it’s handled with sensitivity. These vignettes are the most compelling scenes in the film. It’s a testimonial to the script’s power that it never seems exploitative. We experience nothing less than genuine emotion. Oliver Stone’s sequel is a needlessly complicated bore that is inferior to the original in every way possible. The convoluted plot concerns young proprietary trader, Jake Moore who happens to be dating Gordon Gekko’s estranged daughter. Jake is out for revenge after his mentor, Louis Zabel, commits suicide as a result of a hostile takeover of his company. But wait, he’s also trying to raise money for a fusion research project, which he believes will be an important source of alternative energy in the future. These are just two of the many story threads that the script practically dares the viewer to follow. Compounding the cluttered narrative is frequent use of jargon. Assuming you don’t know what a credit derivative is or what a hedge fund does, I suggest studying up on your financial lexicon before watching this film. 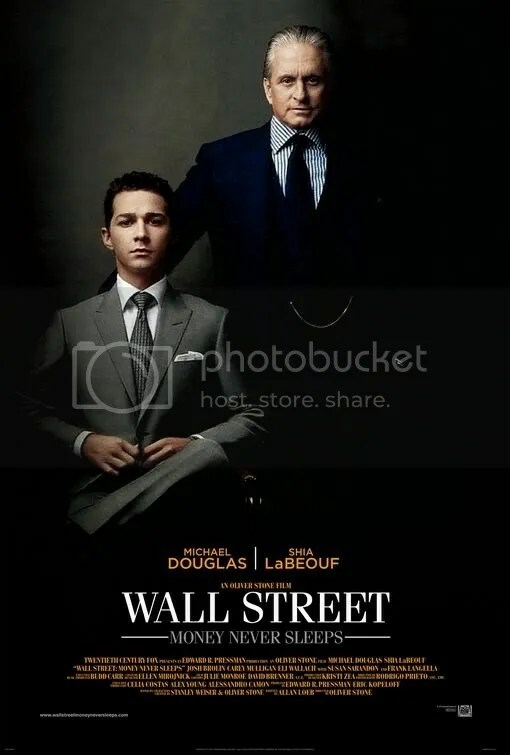 Surprisingly the movie doesn’t have much connection with 1987s Wall Street other than involving Gordon Gekko as part of the cast. He isn’t even the main villain. Josh Brolin’s character, Bretton James, the man indirectly responsible for Zabel’s death, holds that distinction. And if all these weaknesses weren’t enough, the action is constantly interrupted by random songs by David Byrne that laughably pop up at the most inopportune times. Numerous subplots, confusing technical terms and extraneous characters. That’s Money Never Sleeps in a nutshell. 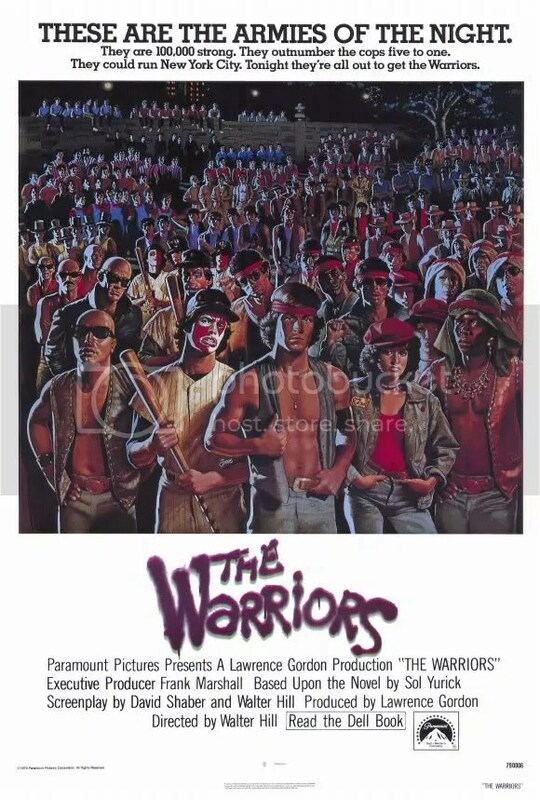 Director Miguel Arteta’s adaptation of the novel by C.D. Payne is a smart-alecky escapade about love and teen angst. Nick Twisp is a 14 year old smitten with an attractive neighbor. His goal to lose his virginity is not the noblest of objectives, but it allows for many witty one-liners on the difficulties of dating and romance. It might’ve helped if his dream girl, Sheeni Saunders, was a bit more tender. She treats him with casual indifference for most of the film. Despite being one of star Michael Cera’s lesser efforts, the story still has several moments of genuine humor: his accidental act of arson, those Kama Sutra hallucinations, or his failure at faking his own death are funnier because of his quirky charm. The action is populated with eccentric individuals with which Nick playfully interacts. One such character is Nick’s alter ego Francois Dillinger, brazen and confident in the ways of seduction. This writer’s device is somewhat reminiscent of Woody Allen’s reliance on Humphrey Bogart in Play It Again Sam. 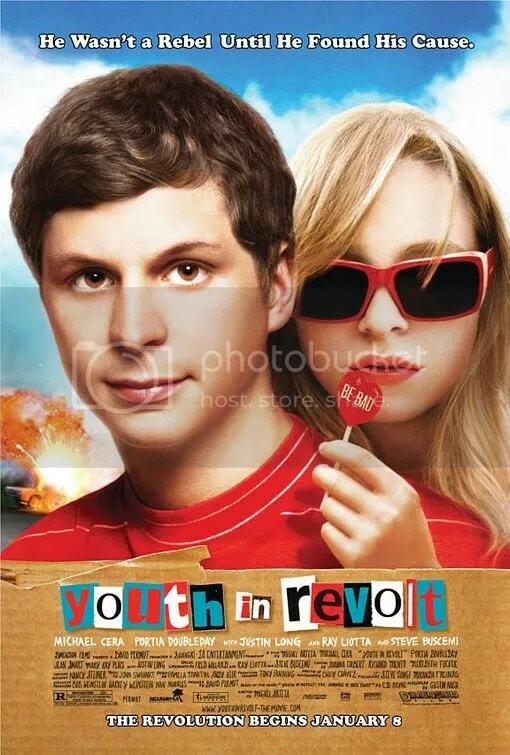 Youth in Revolt is not even close to that legendary film’s appeal, but in 2009, you could do worse. Following the death of his mother, 17 year old “J” goes to live with his grandmother, the matriarch of an infamous crime family, and her three criminal sons. Australian drama is presented in layers gradually peeled away one by one as we uncover the truth about this diabolical clan. We discover in horror the evil his relatives are capable of. A youth, trapped in a situation that grows increasingly more menacing as the story progresses. We experience the same emotions he does, feelings of anguish and helplessness. The mood is stifling. Great performance from the entire ensemble cast with complex characters that are wholly unique. People that you think you know at first glance, only to be surprised at every turn: a grandmother whose deceptive sweetness hides a killer instinct, her son “Pope”, an inconsequential looking individual that belies a tightly wound fury and “J”, our narrator, seemingly helpless, thrust into the center of this vicious household. The pacing never lets up. The action is consistently riveting as the plot builds to a poetically satisfying climax. 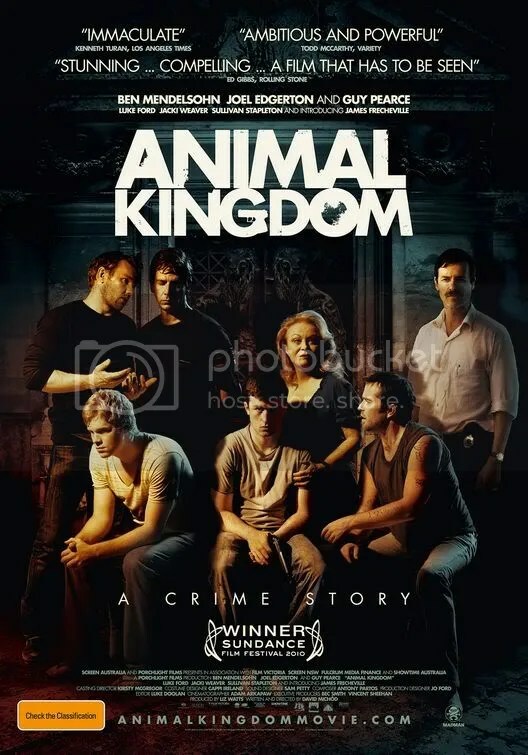 Like the Corleones or the Sopranos before them, The Codys of Animal Kingdom notably join the ranks of unforgettable crime families. POW drama inspired by the “true story” of a band of prisoners who escaped a 1940 Soviet labor camp. What should have been a slam dunk in excitement becomes a slow, boring trudge across unforgiving terrain. Wilderness-survival stories are usually riveting because of the various obstacles the protagonists must endure, yet there isn’t a lot of conflict here. The actual prison break is surprisingly easy. There is some commotion when they first escape, but no one is ever seen chasing them during the movie. Just distance and environment stand between them and freedom. Nature is the villain. Yawn. Not helping matters is the characters’ lack of charisma. 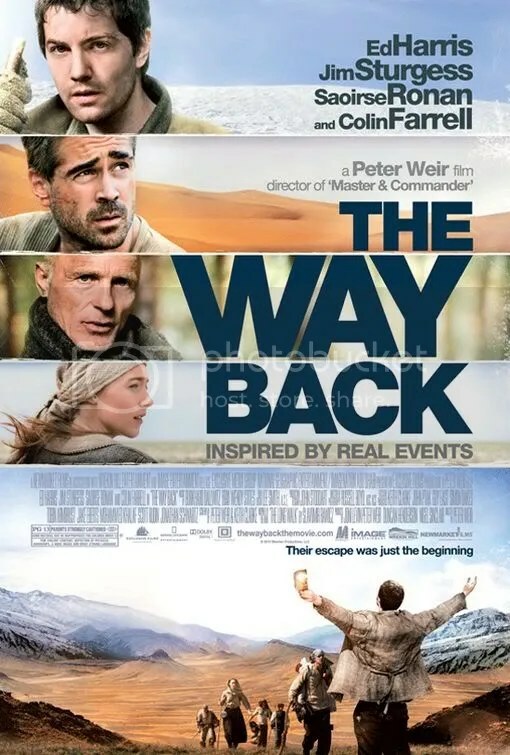 The group starts out with 7 men but only actors Ed Harris and Colin Farrell really have much personality. The other 5 are completely interchangeable. Later they add a pretty Polish girl to their party, but even she might as well be one of the guys too. No romance, nothing unique that sets her character apart from the rest either. The film’s best asset is the stunning cinematography by Russell Boyd. His vivid photographic style overshadows an uneventful 4,000 mile hike. Triumph of the spirit over abusive elements has been presented more compellingly before. Never Cry Wolf comes to mind. Sadly here, the plot is essentially a harsh travelogue of snow and sand. An American truck driver wakes up in a confined space with no knowledge of how he got there. Armed with a lighter and a cell phone he starts to slowly piece together exactly what has transpired. Director Rodrigo Cortés has fashioned a fascinating movie out of a minimalist story that takes place entirely in a wooden box. The script’s genius is the way it unfolds. In the beginning, we are just as much in the dark, literally, as our protagonist. Our interest is in gradually uncovering the mystery as our central character does. The tension masterfully builds. It’s an intriguing experiment that ultimately works. However, the plot’s strengths are also its weaknesses and therein lies the irony. 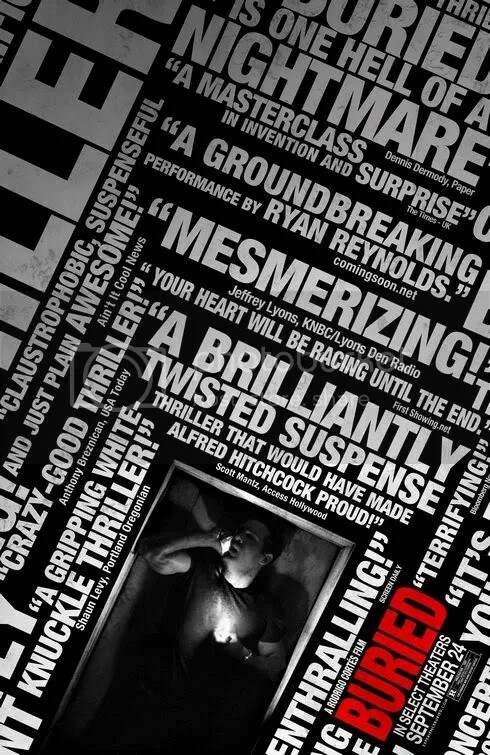 Claustrophobic doesn’t even begin to describe this thriller that never abandons its concept. Because of that, it occasionally becomes a test of endurance for the viewer. Visually, the film is darkness either punctuated by the glow from his lighter or mobile phone. This doesn’t make for the most cinematic experience. Although there’s something novel about casting a star People magazine named “Sexiest Man Alive” in a role where he is barely visible. Ryan Reynolds, known for light comedies like The Proposal, is not an actor often praised for his dramatic ability. Here he is forced to act with simply his voice. He puts forth a credible performance, perhaps his best. In fact, it’s his intensity that creates an engaging drama. It’s important that we mind what happens next to this individual. Otherwise, the action would have been pointless. He breathes life into someone we actually care about.